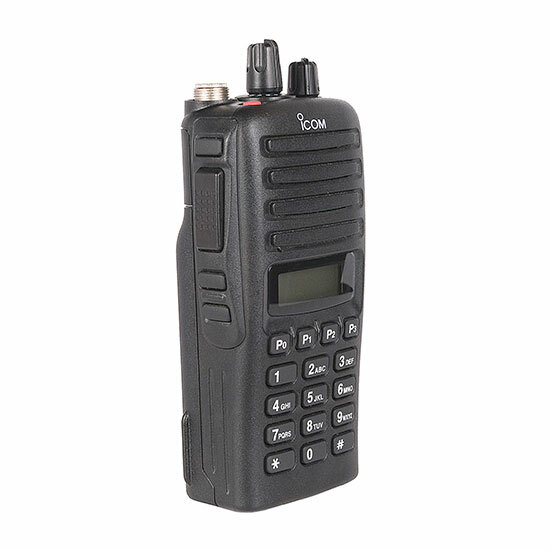 The IC-F43TR is the perfect subscriber for PMR and SMR systems. This light weight radio is a heavy weight when it comes to features, allowing you to take full advantage of the options your PMR or SMR system. PMR systems are often heavily protected against power and other system failures, allowing emergency communications to get through where national carriers fail. 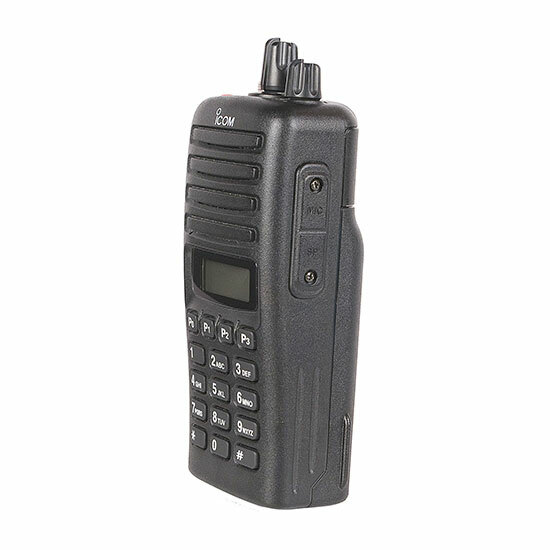 PMR systems offer maximum cost effectiveness - pay for the IC-F43TR once, and escape monthly charges. And PMR systems are extremely flexible, allowing you to configure the system according to your needs, not the needs of a distant national carrier. SMR systems can provide reliable and flexible communications, all at a low monthly cost. Where the cell phone hybrids of many national carriers discourage fleet dispatch (one to many) with their pricing structures, SMR systems are built to optimize fleet dispatch. Often over large areas. And, by design, SMR systems are less likely to be abused by employees. SMR systems offer such advanced capabilities as selective call, caller ID and AVL. 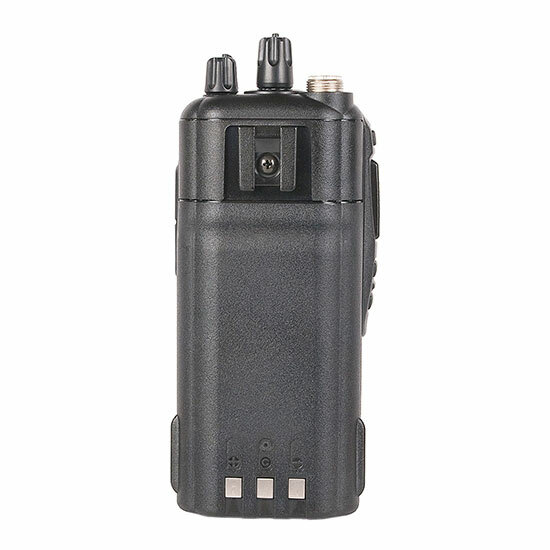 No matter if you choose the PMR or SMR route, the IC-F43TR is the radio to take you there. Conventional, basic LTR and PassPort features are built-in. Operating modes are selectable from rotary selector or up/down buttons. Flash memory enables future system upgrades. The IC-F43TR offers maximum flexibility to program up to 50 systems or up to 250 groups per system. Individual Selective Call (MIN call) allows private call between individual members within a fleet. Primary Talk Group (All call) allows individual users to call all groups in the fleet. The calling party's names are shown in the display, while in group conversation. The built-in receive signal strength indicator (RSSI) enables seamless roaming under the PassPort protocol. Site Lock function locks the radio onto the current site to avoid roaming. 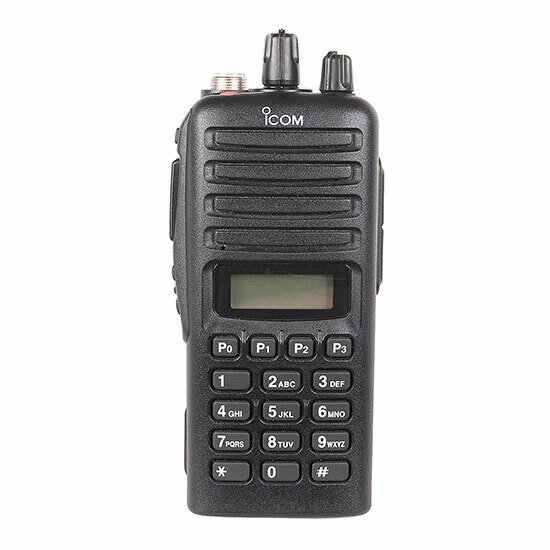 Up to 250 channels either 12.5kHz or 25kHz channel spacing, CTCSS, DTCS and alphanumeric names are programmable. PTT over tone sends a beep sound when you release the PTT, instead of saying "Over". Two bandwidth versions (400-470MHz) all have switchable 12.5/25kHz width by channel, and 5/6.25kHz frequency pitch making all the new UHF channels available for trunking. The battery is a lightweight yet high capacity 2000mAh Li-Ion unit. There's virtually no memory charging issues with Li-Ion technology. Your subscribers will love the compact size and charging flexibility! This commercial-grade portable offers MIL STD construction, including easy to grab control knobs and a large easy to see display. A rugged dual-rail guide securely locks the battery to the back of the radio - it's nearly impossible to knock loose. The backlit 8-character LCD display has 11 icons that indicate system status and operational selections, including battery condition. The improved alphanumeric 14 segment display indicates system/group identification in both upper and lower case. 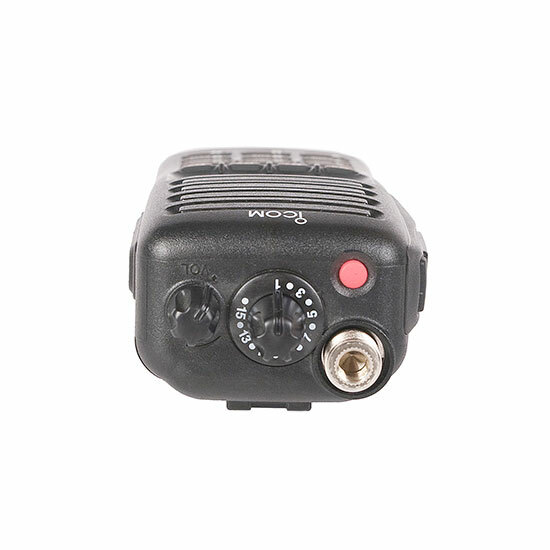 A built-in inversion type voice scrambler provides secure communication in all operating modes. With an optional voice scrambler unit, UT-109, more secure non-rolling type encryption is possible. Automatically sending an emergency signal when the transceiver is left in the horizontal position for a pre-set time. This function also works in all operating modes. * Optional man down unit, UT-113 is required. You may assign operating modes, default talk group for home button, power-ON home or previous group, network roaming, 5/3MHz offset by channel, LTR polarity by system, home channel and area bit by system, Tx and Rx ID, and UID for PassPort. Conventional, system and group scan enable continuous contact under multi system operation without any action by the enduser. Both priority and non-priority scan modes are available in conventional use.